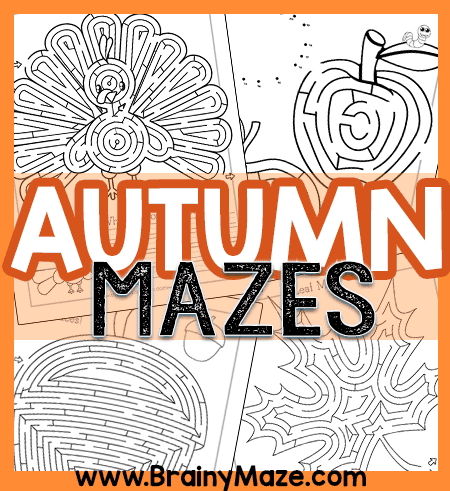 Are you looking to add mazes to your classroom theme? 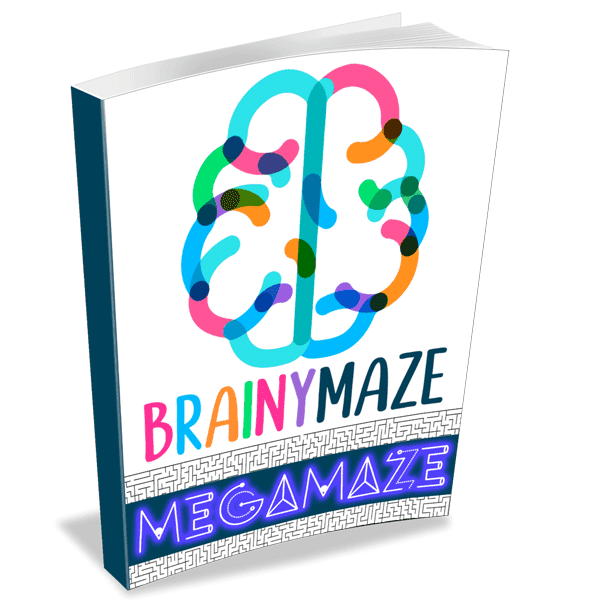 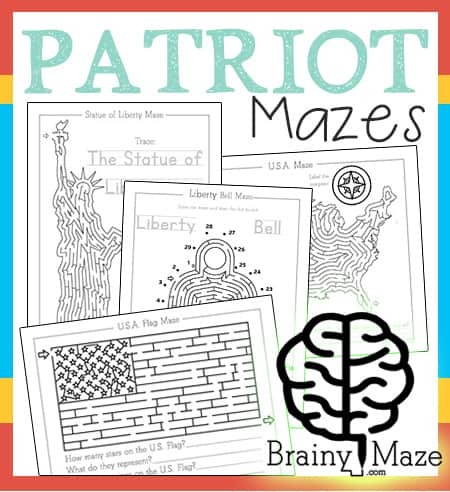 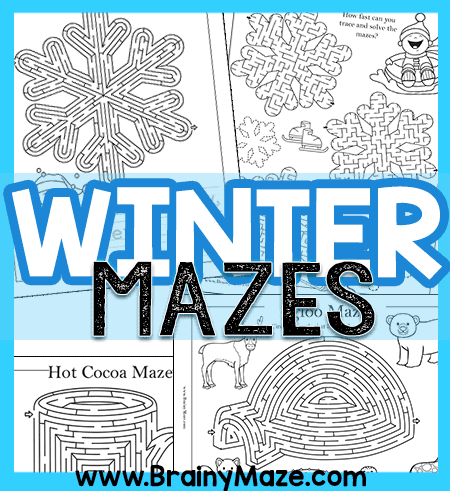 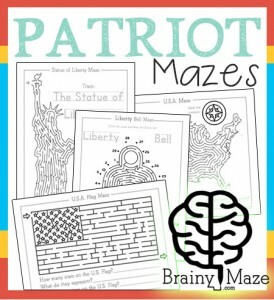 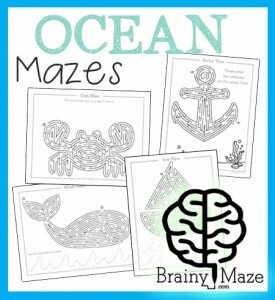 Try out some of our thematic mazes below! 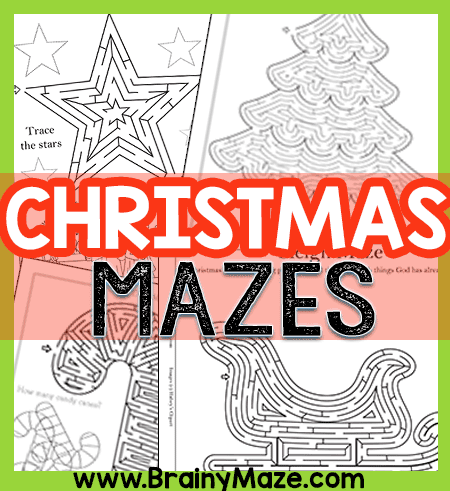 You’ll find Alphabet Mazes, Beginning Letter Mazes, Holiday Mazes like Christmas, Valentine’s Day, and more. 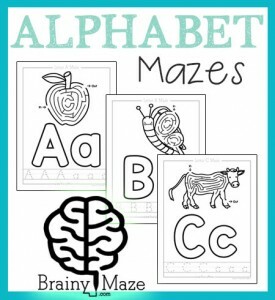 Small Motor Control Practice Worksheets for young children. 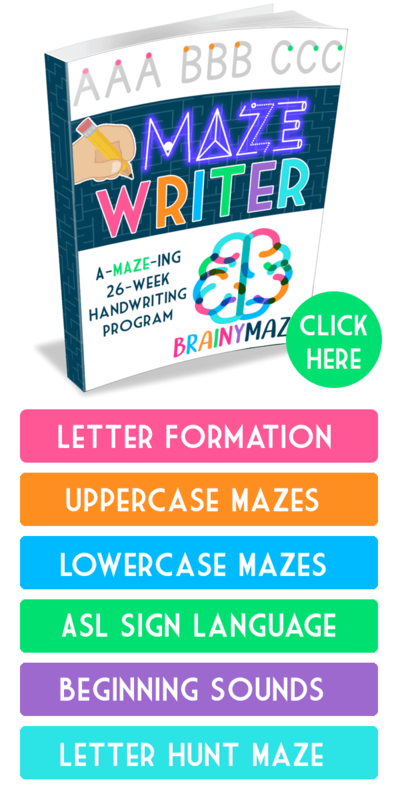 This set of pre-writing warm-up worksheet features a Dyslexia friendly font alongside challenging tracing practice. 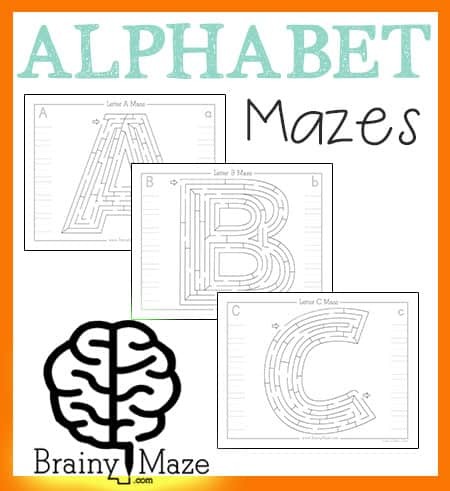 A free set of lowercase letter mazes and activity pages for preschool and kindergarten. 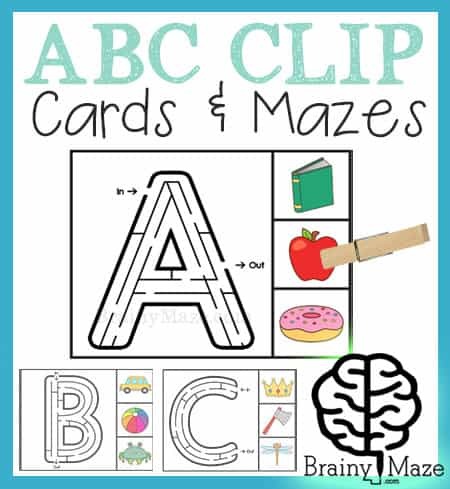 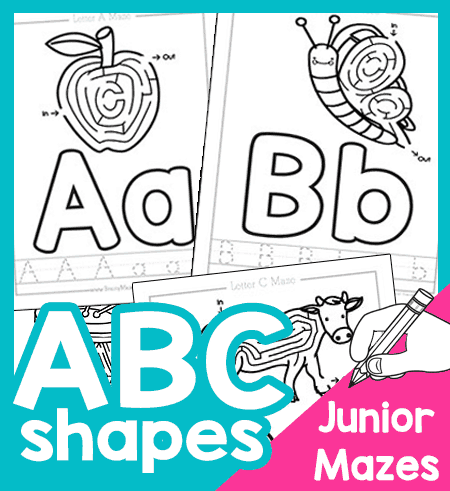 Each page features a fun letter maze, beginning letter coloring page and handwriting practice. 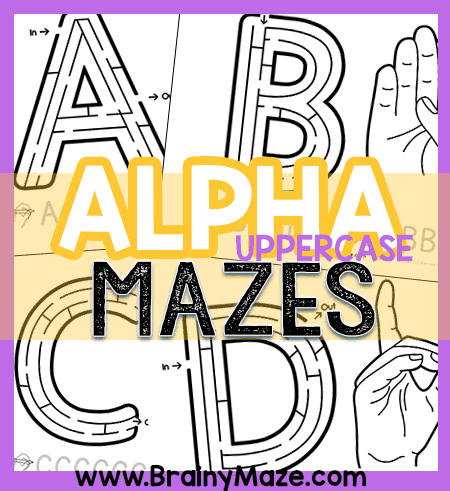 A free set of uppercase letter mazes and activity pages for young children. 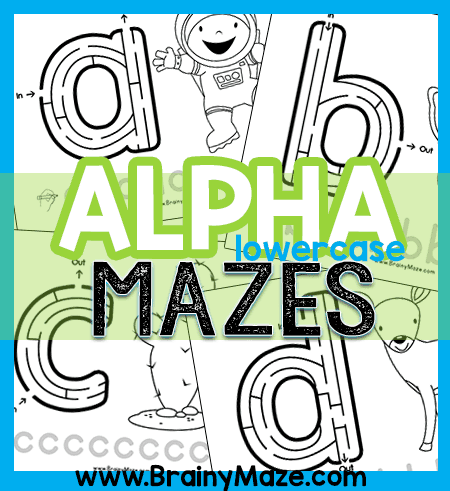 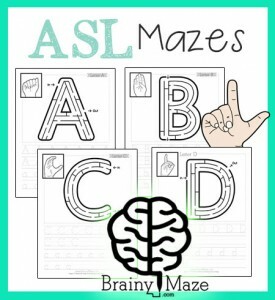 Each page features a fun letter maze, American Sign Language hand sign, and handwriting practice. 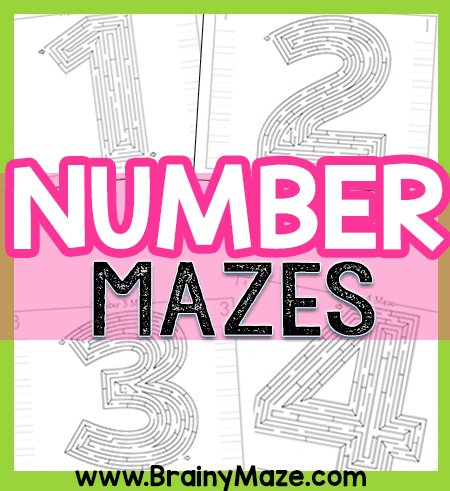 Children love to work through these number mazes. 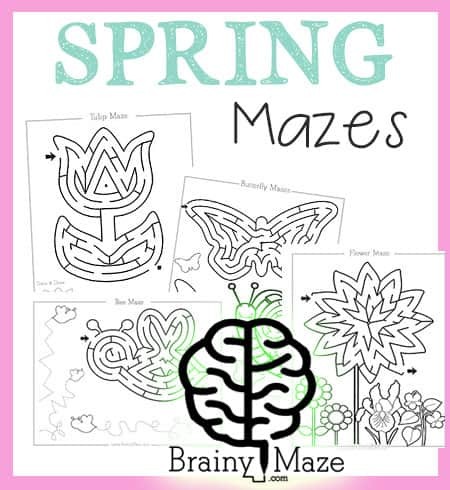 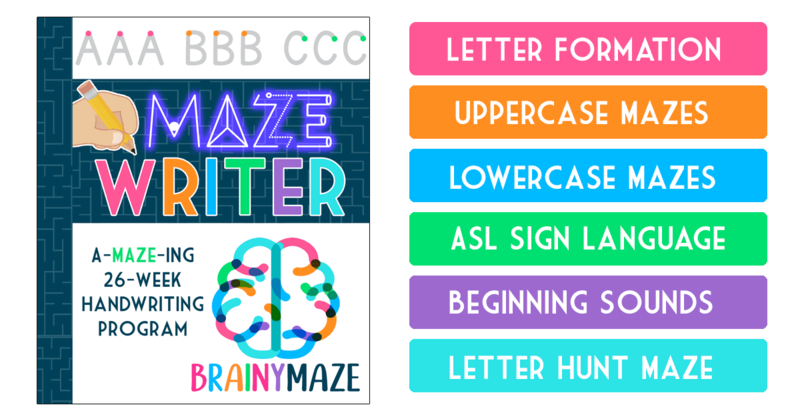 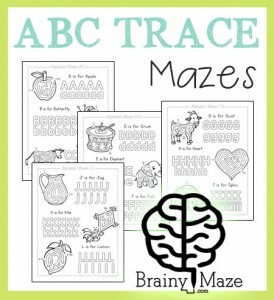 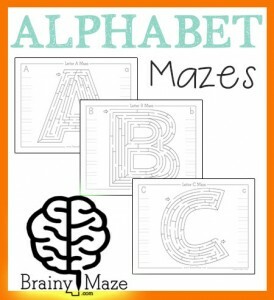 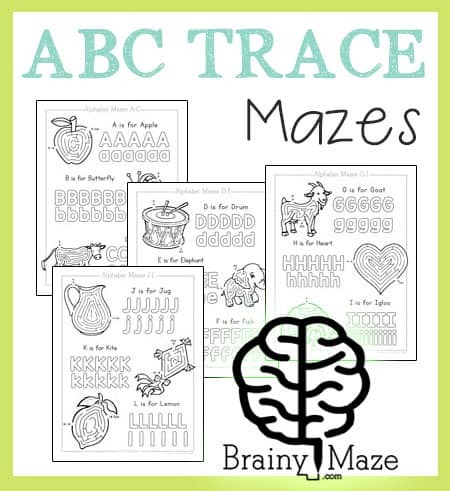 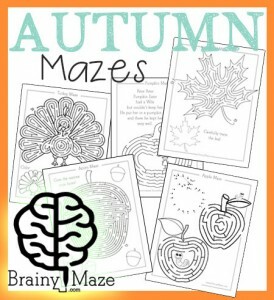 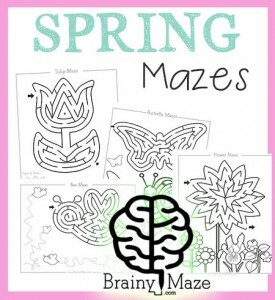 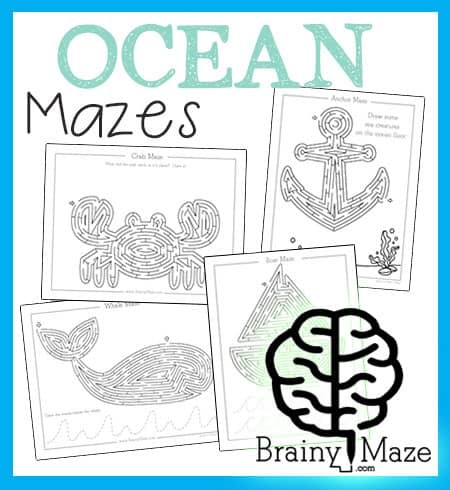 Handwriting practice is provided on either side of the maze, and you can encourage children to build their small motor control with these worksheets. 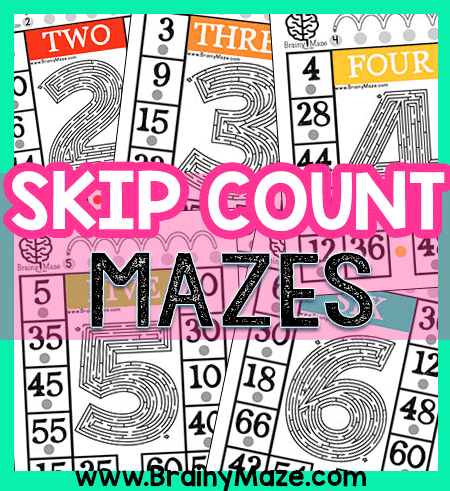 A collection of eight skip counting maze mats for children working on multiplication mastery. 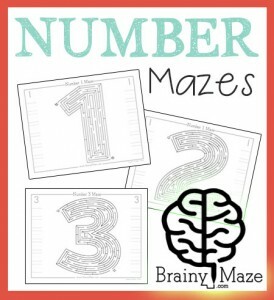 For the numbers 2-9, children can solve the maze then practice skip counting up to x12 multiples. 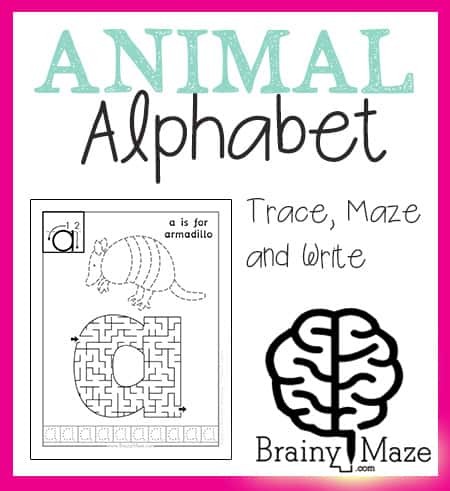 Laminate for repeated use. 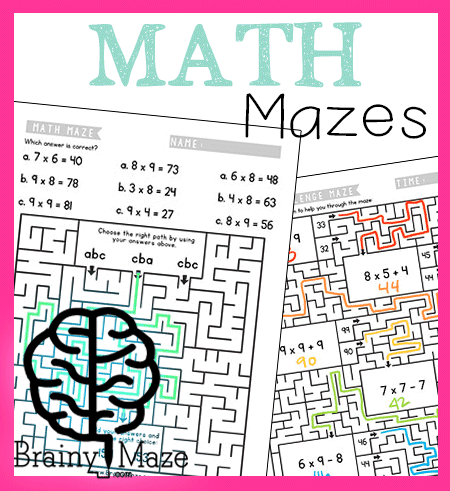 Math can be fun with these free math mazes and activity pages. 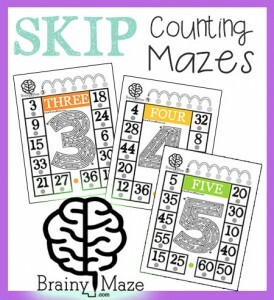 Perfect for children working on math facts. 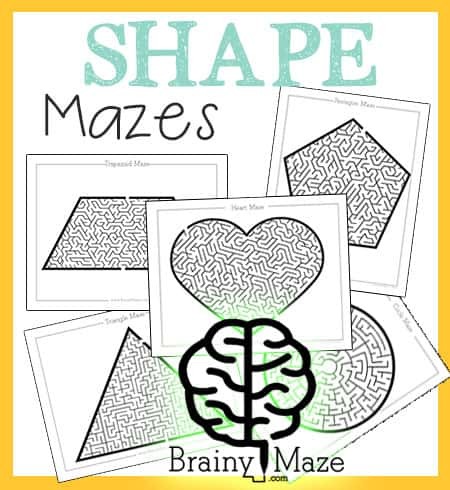 A set of free printable shape mazes for children. 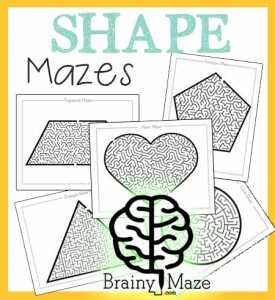 Featuring a circle, square, triangle, trapezoid, pentagon, and heart. 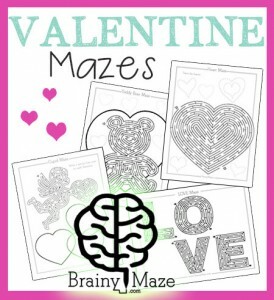 A collection of Valentine's Day Mazes for Kids! 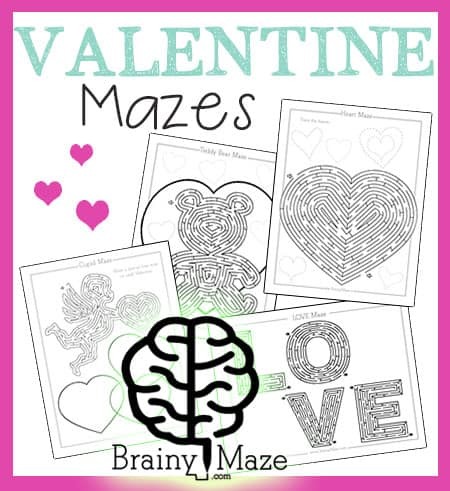 Find a Heart, Cupid, Teddy Bear and a LOVE maze. 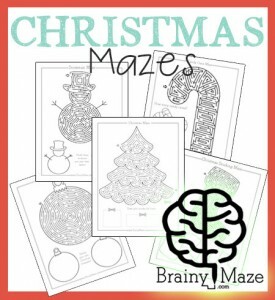 These make great activities for children during the holidays. 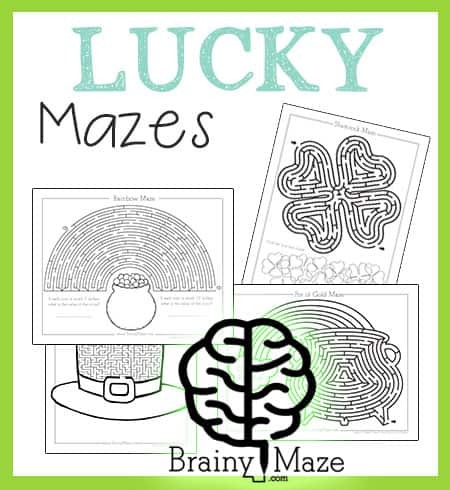 Free St. Patrick's Day Mazes and Worksheets. 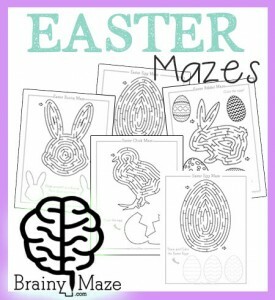 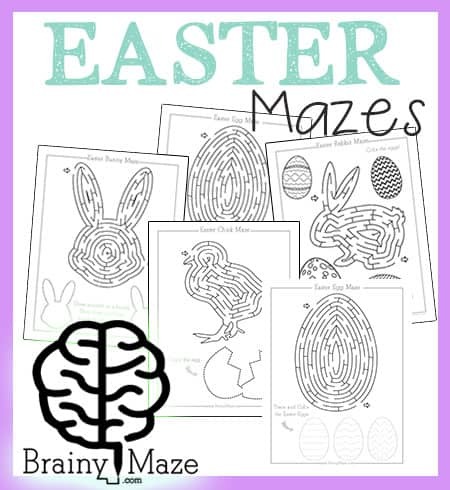 A small collection of thematic mazes and activity worksheets for Easter. 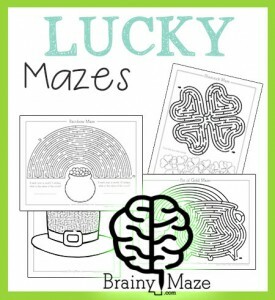 Love the clipart used in our theme mazes? 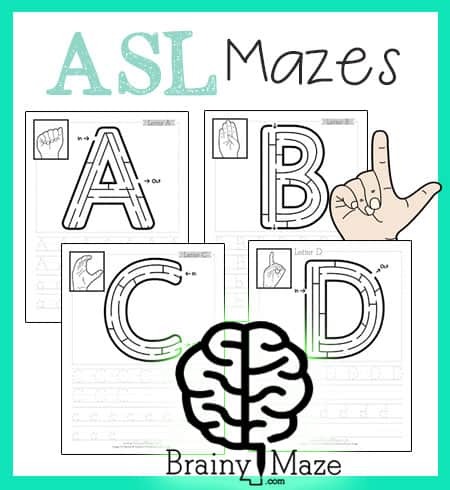 Check out Hidsey’s Clipart to make your own!